The workshop will inaugurate the Scottish Polish Tartan Festival: Scottish Tartan for Krakow, which celebrates the cultural partnership between the cities of Edinburgh and Krakow. For more information visit our facebook. 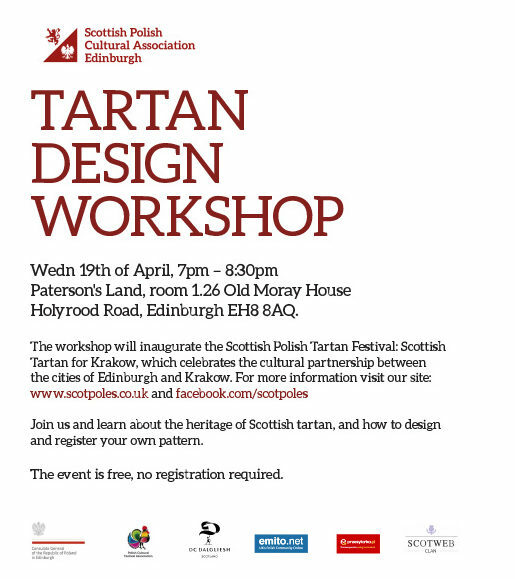 Join us and learn about the heritage of Scottish tartan, and how to design and register your own pattern.